The College of Southern Maryland is planning an Open House of its Regional Campus from 10 am to 2 pm Saturday, July 28, 2018. The open house will highlight the campus’ Center for Trades and Energy Training, or CT, Building. 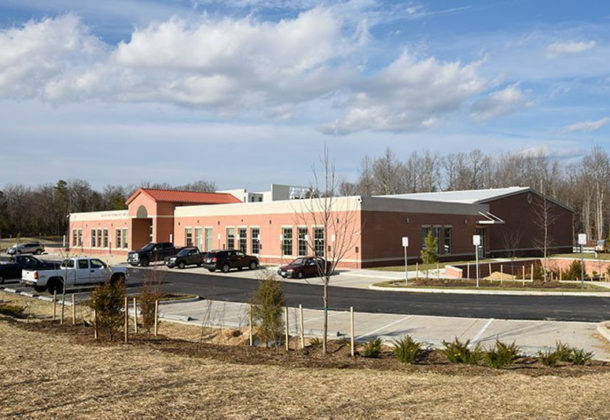 Find the Regional Hughesville Campus at 6170 Hughesville Station Place in Hughesville. To get driving directions on your GPS device, enter 83-99 Foster Lane, Hughesville, MD 20637. During the open house at the regional campus, visitors can tour the Center for Trades & Energy Training while learning more about CSM’s trades programs and credit programs. See the 30,000-square-foot space that is used to teach welding, electrical work, HVAC, plumbing, construction, and more. Jobs for HVAC mechanics and installers are projected to increase 21 percent, faster than the average for all occupations. Job opportunities for HVAC technicians are expected to be very good, particularly for those who have completed training at an accredited technical school or through an apprenticeship. Jobs for electricians are projected to increase 20 percent. With more efficiency and reliability of newer manufacturing plants, demand for electricians in manufacturing should go up as more electricians are needed to install and maintain systems. Overall employment of construction laborers and helpers is expected to grow 25 percent, much faster than the average for all occupations. Demand for plumbers is expected to grow 21 percent. Jobs are expected to be good, as some employers continue to say it is difficult to find qualified workers. The July 28 open house is the perfect place to learn about the trades and much more. Participants will also have access to information about financial aid, transportation programs, business and technology programs, and health sciences programs.